I love ladybugs! I used to have a girly garden room when I was little, and this hat reminds me of the comforter. 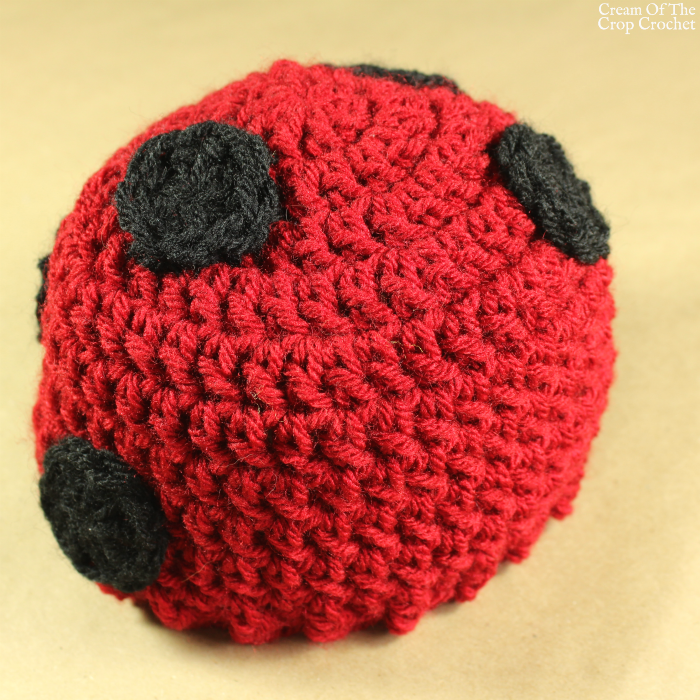 Let alone, ladybugs are so much fun to crochet for an afternoon project! 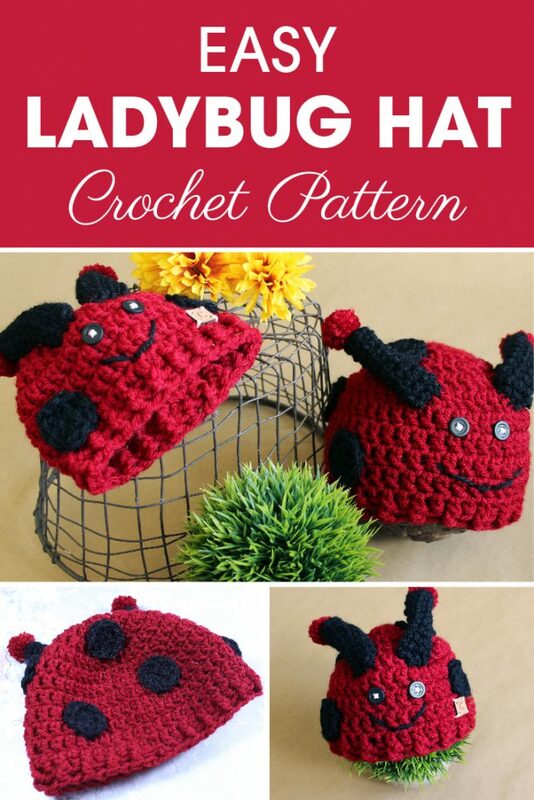 Dot the Ladybug Hat will be perfect for y’all’s little one and I just can’t get over how cute the little top hat is. What about you? I made about 7 spots for newborn to 6-12 month hats, but you may need more for the bigger sizes. With CB yarn and a yarn needle hand stitch the spots onto the hat except for the very front where the face will be. 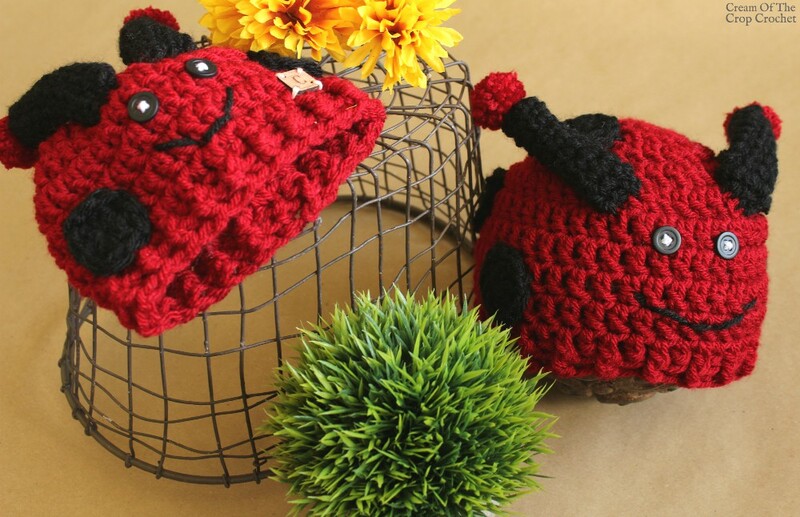 You will need to make 2 antennas and 2 pom poms. 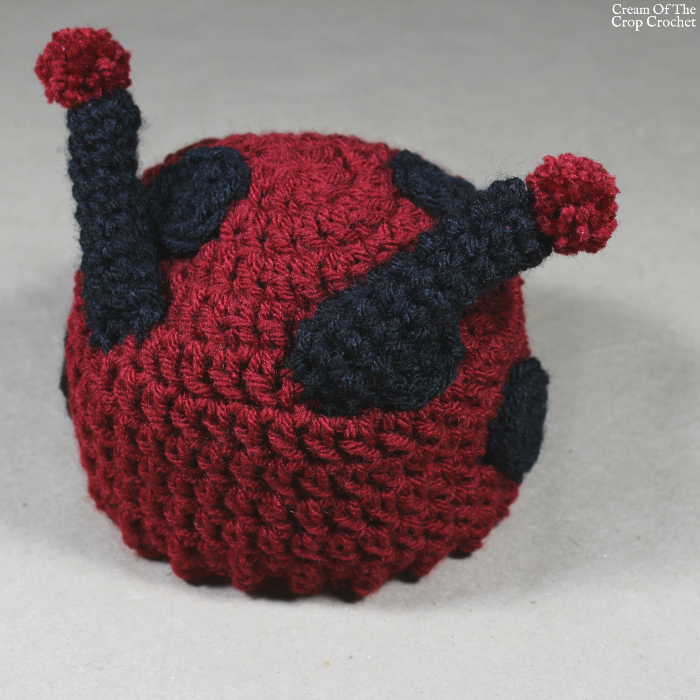 With an extra small pom pom maker and CA yarn you will need to make pom poms. Then attach the pom poms to the top of the antennas. 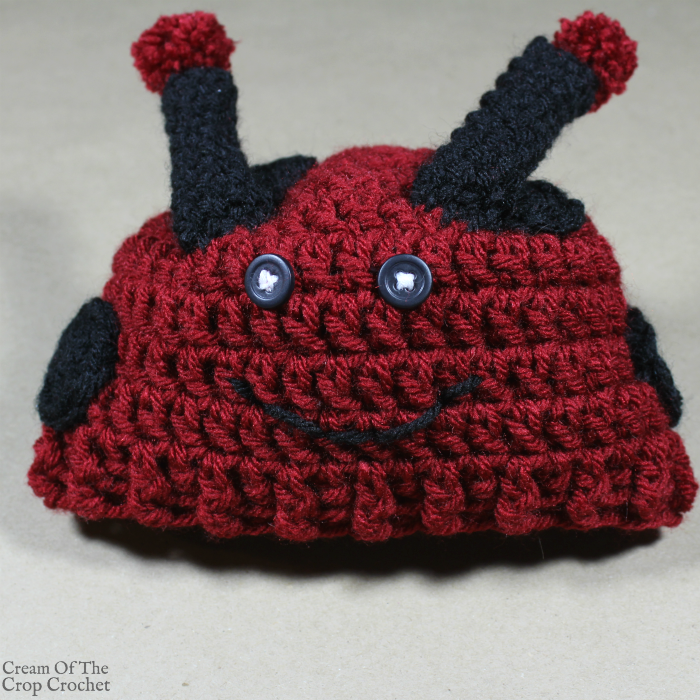 With CB yarn and a yarn needle, you will need to attach the antennas to the front of the hat, just above where you will put the face. This is where you will need the two black 1/4″ buttons, needle (not yarn needle), and white tapestry thread. Place the buttons on the hat where you want them to visually measure it out. Attach the buttons to those places with the needle and white tapestry thread. Knot the thread in the back to secure it and weave it in. Cut any extra thread off. With CB yarn and a yarn needle, hand stitch a smile under the eyes. Cut yarn, tie both ends together and weave ends. Oh my gosh this is cute! I love ladybugs, too. Every spring we had a flock (I guess that’s what you’d call them) invade our bathroom. We lived in the country and I spent most of the spring shooing them out of the bathroom window. i now have 2 grandkids and i think I’ll make them both this really cute hat. Thanks for sharing!